William Houston Sr. played piano all over New Orleans in the mid-1900s, from classical recitals to church services to dance halls. His greatest legacy, though, may be as an educator and organizer. His own training included degrees from Xavier University and a master’s in music education from Northwestern University in Illinois, a rare attainment for a black man who grew up in Depression-era Louisiana. Back home in New Orleans, Houston filled his 16-piece big band with players who taught music in local schools—he knew they could use the extra work. Opening Houston’s School of Music here in 1954 gave them opportunities to give private lessons on the side as well. 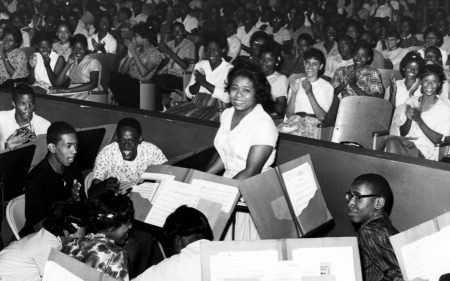 Two members of the William Houston Orchestra who taught here, Alvin Batiste and Yvonne Busch, became two of the most influential music instructors in South Louisiana. Batiste developed a teaching method—the root progression system—that gave students a foundation for branching out in any direction they wanted. Mr. 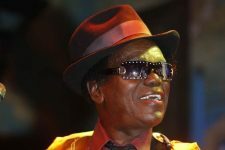 Bat, as he was known, went on to found a trailblazing jazz program at Southern University in Baton Rouge and helped introduce jazz education in New Orleans public schools. Busch taught at Houston’s while serving as the band director at nearby Joseph S. Clark High School. 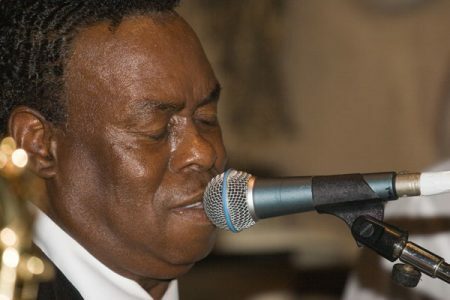 As Author Al Kennedy chronicled, over the next three decades in the school system, Busch trained all-star line-ups of musicians (Sugar Boy Crawford, Smokey Johnson, Herlin Riley) and music teachers (Ellis Marsalis, Clyde Kerr, Jr., Donald Richardson). Houston’s School of Music included lessons on theory and emphasized reading and writing music to help students qualify for a range of gigs. 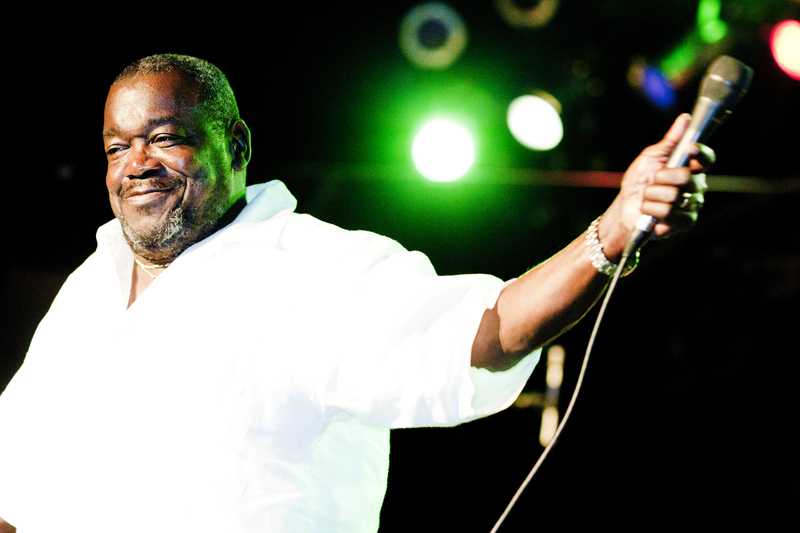 Alumni included Roger Lewis, baritone saxophone player in Fats Domino’s band and the Dirty Dozen Brass Band; Rockie Charles, the guitar player and singer known as The President of Soul; R&B singer Wallace Johnson; and Ernie Vincent, the guitar man known for his deep funk classic “Dap Walk.” Houston taught renowned trumpeter Wendell Brunious himself. Houston’s advocacy carried over to professional musicians as well as students: for years he served as president of the American Federation Musicians local 496, the black musicians’ union, which was headquartered just across North Claiborne from his school (it moved in 1969 when it merged with the local 174, which had been exclusively white). When Houston, Sr. died in 1974 William Houston, Jr. was well established as a musician and educator in his own right—he played his first gig at age nine, and taught music at Booker T. Washington and Clark High Schools. 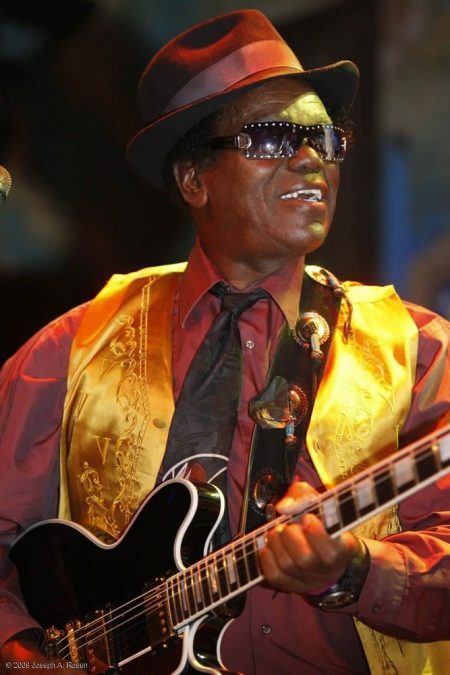 He was also the proprietor of Houston’s for Music, the instrument and equipment store that shared space with the music school (Houston, Jr. was the first black dealer of Hammond organs in the country). He kept the William Houston Orchestra active into the 2000s, playing mostly Carnival balls and other society functions. Built over a drained swamp, North Claiborne Avenue began to take shape in the mid-1800s, with a canal running down its center flanked by rows of trees (which is why it’s nearly 200 feet wide). 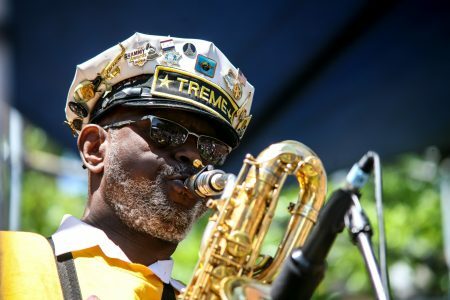 Around 1900, in the formative years of jazz, the surrounding neighborhoods—Treme and the Seventh Ward—were home to African-Americans, Creoles of color, and working-class families of various European backgrounds. Segregation intensified toward mid-century, with the new Lafitte public housing development admitting black families only. Under Jim Crow, an array of black-owned businesses took root on North Claiborne, catering to those who were denied service elsewhere. By this time the drainage canal was filled in and live oak branches created a canopy overhead, making the Claiborne neutral ground (median) an ideal promenade for black residents’ parading traditions: Social Aid and Pleasure Clubs, Mardi Gras Indians, Baby Dolls, and Skeleton Gangs all attracted crowds here. In 1966, over the protests of residents, public officials chose to uproot the oaks and build an elevated expressway above North Claiborne. As in other cities, the interstate paved the way for white flight to the suburbs. A community of artists maintained the cultural vitality of the Claiborne corridor despite the ensuing divestment. Then, in 2005, the flood following Hurricane Katrina devastated the area. An uneven recovery followed, with many former residents unable to resettle in their neighborhoods. Nevertheless, Social Aid and Pleasure Clubs, Mardi Gras Indians, and their followers still throng their traditional parade routes along North Claiborne, with brass bands and percussionists using the acoustics of the overpass to amplify their sound. Though some post-Katrina plans proposed removing the overpass, today the city is trying to revitalize the space beneath it. Ironically, some now see it as a bulwark against the wave of gentrification that has displaced black households from sections of Treme and the Seventh Ward closer to the river. 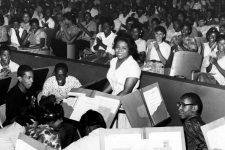 "Miss Yvonne Busch: Tricentennial Music Moments" from WWOZ, a brief look at the influential educator. 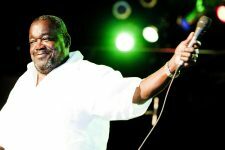 Rockie Charles, Houston's School of Music alumnus and the "President of Soul," performs at the Louisiana Music Factory in 2007. Ernie Vincent, whose only formal guitar lessons were at Houston's School of Music, performs and discusses his work, including his signature song "Dap Walk." Video posted by Bill Bowman. 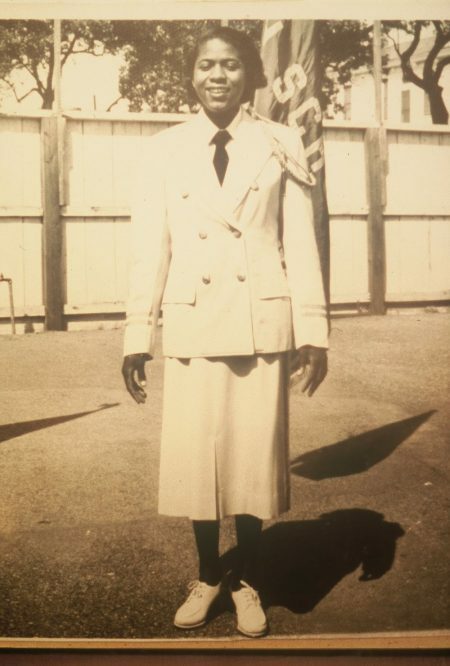 Band instructor Yvonne Busch in her uniform from Joseph S. Clark Senior High School. Photo courtesy of Busch authority Al Kennedy. 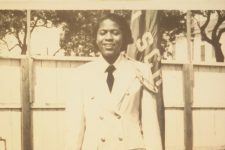 Band instructor Yvonne Busch, seen here at G.W. Carver Senior High School in 1962, where she was surprised with the award for Teacher of the Year. Roger Lewis, seen here in 2017, drew from lessons at Houston's School of Music as a baritone saxophone player in Fats Domino's touring band and in local brass bands. Courtesy of the New Orleans Jazz Museum. Photo by Baylee Badawy. Guitar man Ernie Vincent, an underground hero of New Orleans music, took his only formal lessons at Houston's School of Music. © Edgar Mata	Photo by Edgar Mata. 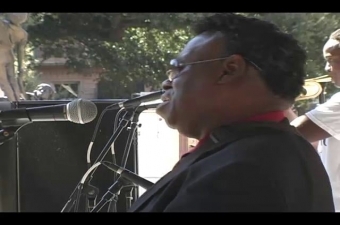 Rockie Charles, "The President of Soul," at the 2009 Ponderosa Stomp Festival. He learned to read and write music at William Houston's school. © Joseph Rosen	Photo by Joseph A. Rosen. 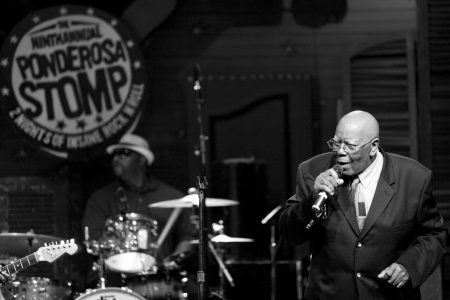 Wallace Johnson, an AFO and Sansu Records artist who attended Houston's School of Music, performs at the 2010 Ponderosa Stomp Festival in New Orleans. Clarence "Frogman" Henry performs at the 2011 Ponderosa Stomp Festival. William Houston put Henry, then a trombone player, in a student band at Landry High School, paving his way to professional gigs. "KOLAB's Ernie Vincent" by David Jones, OffBeat November 1, 1997.